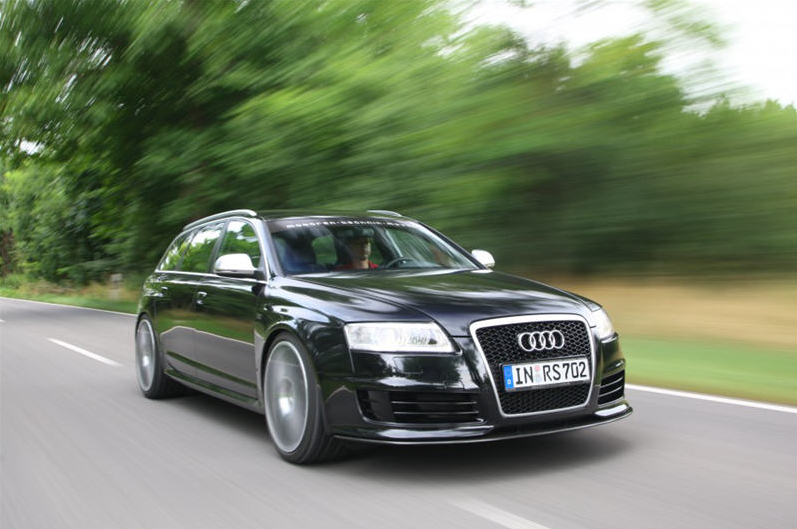 EXCLUSIVE: MTM Horchaus bringing C6 Audi RS6s (and more) to North America! Well i’ve been gathering information about this for a few days, straight from Francois over at Horchaus (Official Canadian distributor of MTM (V.A.G. tuning company). It seems that they have worked out a plan with Audi of Germany to be able to bring Audi RS6s (C6, current) as well as B7 RS4 Avants and R8s to North America directly from Germany! To any other Audi afficianados such as myself—this is HUGE news. For a very long time, we’ve been stranded by the products being provided to the US market when it comes to ‘special’ Audis. We did receive the previous generation C5 RS6, but only in sedan form (NO Avant in North America). We also received the B7 RS4 sedan (NO Avant in North America). We are not going to receive the C6 RS6 at all——until NOW! After creating a working agreement with Audi of Germany in Ingolstadt, Francois and Horchaus have found a way for certain cars such as the current RS6 to be modified according to US Spec BY Audi themselves! After these modifications, the cars are imported into North America (Canada OR the United States) and undergo customs, duty, etc….and are brought here as legal, street-ready versions of these European cars. Since Horchaus is working directly with Audi to ensure the modifications are done to North American spec, this is a whole new way of getting these cars into the United States legally and safely. The OEM spec cars will have an AUDI WARRANTY, since they are brand new from the factory. The prices of these cars vary, however If someone really wants a brand new C6 Generation Audi RS6 Avant, it’s gonna cost them $115,000 CAD (Canadian dollars) and $125,000 CAD with the 730hp MTM upgrade (including all import, shipping and duty fees). At the moment, they have another 4 cars on the way. one R8 (sold), a B7 RS4 Avant (sold), and one C6 RS6 Avant and a C6 RS6 Sedan; which are both available to purchase. A further reason to be excited, is that Horchaus is currently also evaluating the possibility of bringing other Audis in the same manner; cars such as the current Audi TT-RS and Audi S3. Really exciting stuff, and groundbreaking progress in the world of importing Audis. Stay tuned to IEDEI for further updates about this as I get more information. So far I only have the pricing for RS6s, when I receive further information about pricing for others I will pass them along! Meanwhile, if you are interested in these cars, follow the link to the MTM/Horchaus website for more information and contact info. UPDATE: B7 RS4 Avants are CEO company cars, and will be titled as 2nd hand. They are $70,000 CAD (Canadian dollars) and the R8 V10 is $105,000 CAD (Canadian dollars) which is amazingly good pricing….the R8 V10 turns out to much less than a comparably ordered US version. UPDATE 2: Some people have been asking “well why wouldn’t Audi bring these cars in the first place??? ?”…..the answer was explained to me by Francois. Audi of Germany wants them to go everywhere, the reason why these cars don’t come to the US or Canada is simple; Audi of America and Audi of Canada don’t believe they have a market and do not readily import them here. This is AMAZING news!!! 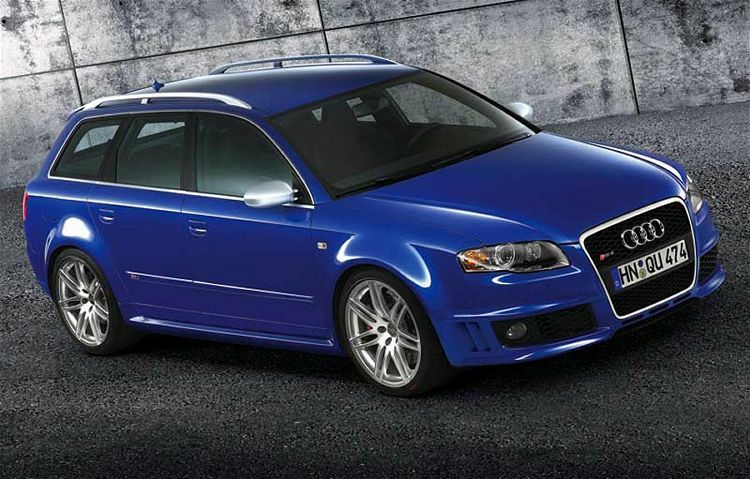 I have a 2002 S6 Avant in California that is the best car I have ever owned… I have dreamed for years of upgrading to an RS6 Avant… now it may actually be possible! I do not seem to understand how the r8 v10 can come at a price of only 105000 canadian dollars. If that is the case, Please let me know when the next available one is.